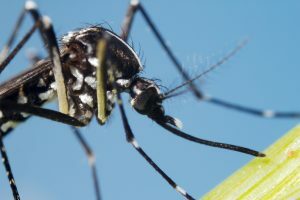 With its heat and humidity, The Sunshine State provides the perfect breeding ground for troublesome mosquito infestations. At Palm Coast Pest Control, we understand that you want to enjoy your east or west coast Florida property without having to worry about the troublesome bites for which these nuisance pests are known. We provide industry-leading mosquito control that is affordable and effective. Request your free estimate today! More than just a nuisance, mosquito infestations can actually pose a health risk to humans. This is because they have been known to transmit several serious illnesses to humans, including Zika virus, West Nile virus, and many forms of encephalitis. Affecting pregnant women, Zika virus can lead to a wide variety of birth defects in children. There is currently no vaccine or medication to reduce the effects of this illness. West Nile virus is a very serious condition that can cause fatal neurological conditions in people who contract the illness. How Can I Prevent Mosquito Infestations? Remove standing water from your property. This includes clogged gutters, pet water dishes, and overflowing planters. Trim back your landscaping. Heavy vegetation provides a cool, damp respite for mosquitoes, and pruning back bushes may discourage infestations. Remove yard waste. If you have built up grass clippings or leaves in your yard, this can provide mosquitoes with the perfect spot to breed. Hire professional mosquito control. A reliable company will identify hot spots around your property and implement measures to reduce activity and prevent future infestations. Are you ready to claim victory in the war against mosquitoes? Palm Coast Pest Control provides affordable and effective mosquito control that will allow you to enjoy your outdoor spaces without worry. Call our knowledgeable and experienced team at 800-819-7378 today to speak with a mosquito control expert or request your free estimate online now! Get 10% OFF Your Initial Service!